NWP Industries Inc. is pleased to announce the receipt of a “Supplier of Excellence” award presented on behalf of Shell Canada. 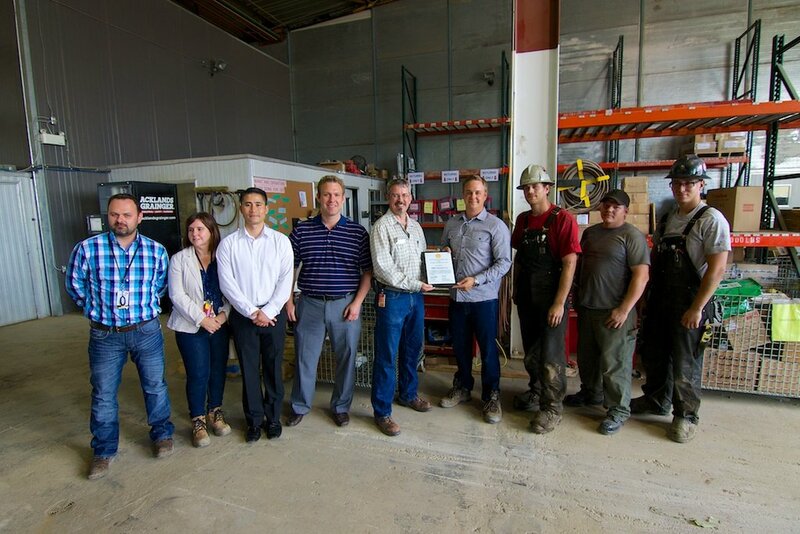 The award was graciously presented to NWP’s staff by Shell Canada and recognizes NWP’s ongoing commitments to Quality, Safety and Customer Service. NWP is very humbled by this award and we are thankful we have had the opportunity to work with Shell on past, present and future projects. Shell Canada provided a pizza lunch for all NWP employees to celebrate this prestigious award. Dave Rider Quality Assurance Manager with Shell shared how NWP was awarded with this honour and what quality means to Shell Canada. It has been 5 years since they have made this presentation last. Claude the Facility Manager for Alberta and her colleague Max expressed a thanks and appreciation for a recent project that had a flawless installation on site and noted the quality level of fabrication of NWP product.